There are many things that can contribute to business growth, but, more often than not, what tools businesses use can make a significant difference to the bottom line. Whether they’re looking for increased productivity, better customer service, easier billing, more professional looking content, or finding a tool that silently speeds up project completion, every business needs a solid framework for growth. I have compiled a list of 101 tools I believe can make a big difference in the vast majority of businesses. Chances are you are using some of them already; maybe you will find some more to add today or even a tool that seamlessly connects all the tools you have been using. The list is based on my personal experience as well as popularity among businesses. 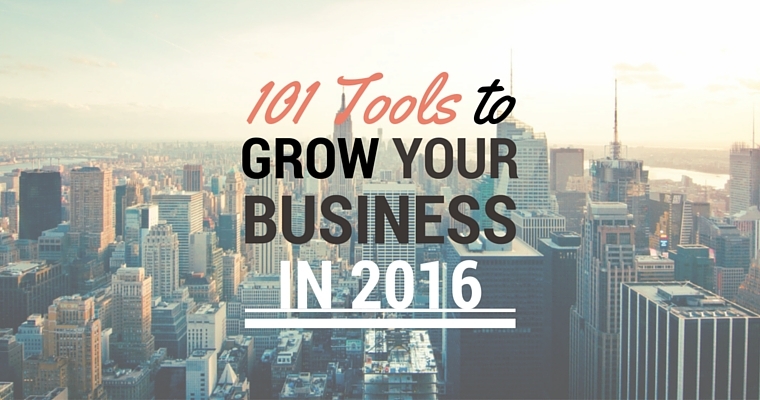 Here are my top tool picks for 2016 sorted by category. 1. Openr: Turns everything you share into a call to action. Share on social media and automatically add targeted promotional calls to action onto any page you share. 3. Hootsuite: Social media management. Great for businesses with 12-50 profiles and pages to maintain. 4. Buffer: Social media management. Limited to the biggest platforms and great for up to 11 profiles and pages. Beautiful design, flawless app. 5. Canva: Use templates for perfect social media headers, flyers, Facebook post images, featured images with custom dimensions, and more. 6. 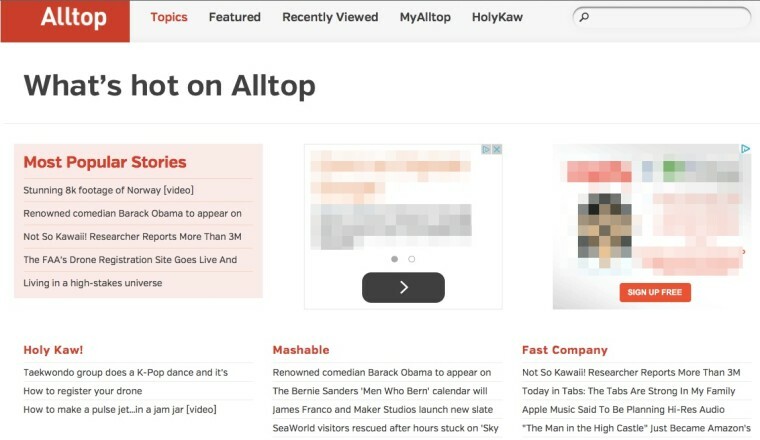 Alltop and HolyKaw: Use Alltop to find out what’s most popular on specific websites. If you need to curate content for Twitter profiles and the like, this is your website. 7. Hashtags.org: Find out quickly what the most popular hashtags are so you can jump on the trend and get more visibility for your posts. 8. Hyperlapse: App from Instagram. Use this to create time-lapse videos. 9. Layout: App from Instagram. Use this to create collage images. 10. Boomerang: App from Instagram. Use this to create looping short videos. 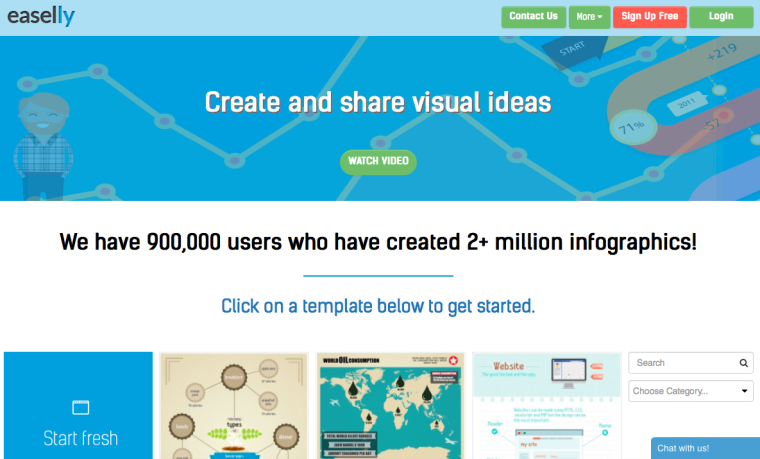 11. easel.ly: Intuitive and quick way to create professional looking infographics. 12. Fontawesome Icons: Steal any of these icons to enhance your blog images. They are free and come with transparent backgrounds (as vectors). 13. PicMonkey: Free online photo editing. Filters, collages, overlays, and more. 14. Pixlr: Free online photo editing. Use the free Pixlr Express web app to resize images, for instance. 15. Sprout Social: Social media management software. This is a Guy Kawasaki favorite. 16. PremiumBeat: Royalty-free sound effects and music. Extremely useful for videos. 17. Socedo: Automatically generate list of potential customers based on keywords, hashtags, or other search criteria. Ideal for finding leads on Twitter. 18. Tweetwall: Project tweets in real-time at events or on a wall in your office to show tweets that include your signature hashtag. 19. Bitly: Shorten URLs so they fit the character limit of Twitter and other social networks. Also tracks cross-channel marketing strategies, among other things. 20. Google Web Designer: Create banners for any device. 21. Instagram Ads: You don’t need an Instagram account to show ads on Instagram. Use Facebook to create an ad that shows up on Instagram and leads directly to your website. 22. Facebook Lead Ads: Lead ads were awesome when they were in private beta, but they weren’t practical. Now that Facebook has unleashed lead ads for all advertisers, this feature is one of the best tools out there for small businesses to generate leads and scale it up quickly. 23. Facebook Power Editor: If you aren’t using the Power Editor already, it’s time! 600 targeting options for the good old boosted post are awaiting you among other neat options like bulk editing. 24. Google AdWords: Use everything Adwords has to offer and get your campaigns on steroids with location bid adjustments, dynamic keyword insertion, ad extension, converted clicks, separate device targeting, video ads, shopping ads, behavior-based remarketing, and a ton of other things you might not have tried yet. 25. Bing Ads: Bing powers the web search on Twitter, Apple’s Siri, the Kindle Fire, the Amazon Fire phone, Xbox, and many other things. So get your Bing ads up and running to no longer miss out on Bing traffic! 26. 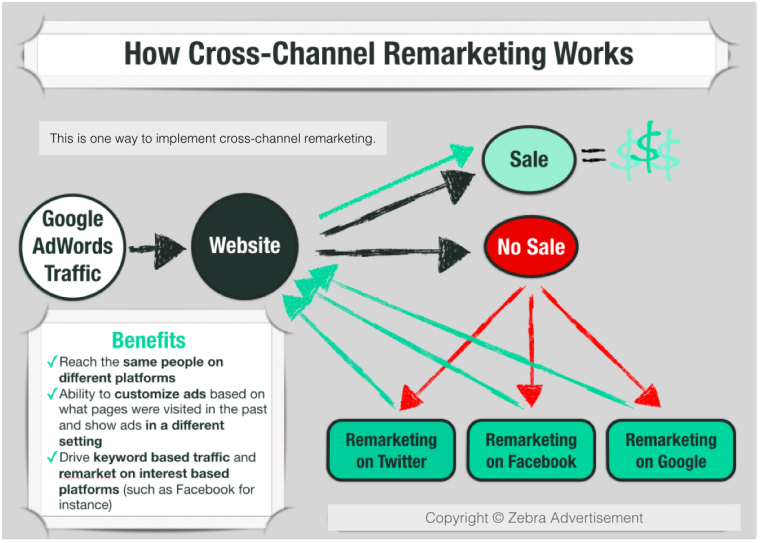 Cross-Channel Remarketing: Show ads on Twitter and Facebook to people who came to you via Google AdWords. Connect the platforms to convert customers wherever they are. 27. Facebook Audience Insights: Use it in reverse. Upload people who already purchased from you and get insights on demographics, what pages they like, location, household composition, and more. 28. SEMrush: Find out what keywords your competitors are using for their paid search campaigns, among other things. 29. VWO: A/B testing. Split test ad headlines, website designs, website copy, and more. 30. 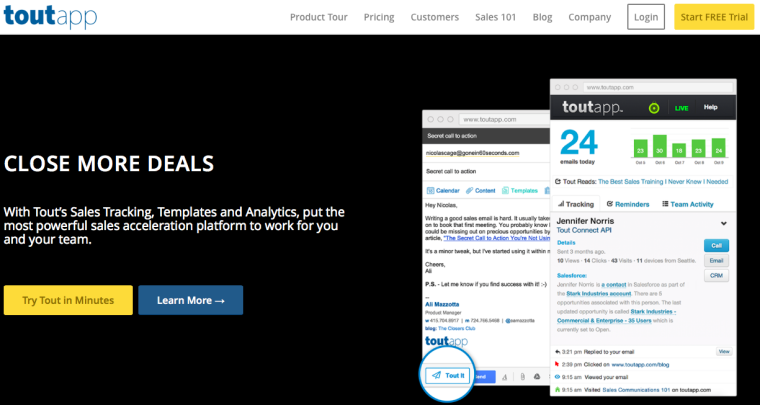 ToutApp: Email tracking that integrates with Salesforce and analyzes buying personas. In other words, this platform automatically finds a pattern of what wording works best with what type of clientele. 31. Phone.com: Cloud based VoIP Business Phone Service. There are too many neat features to name just one, but one of the biggest advantages is that they can handle whatever volume of calls you are getting. 32. Salesforce: CRM solution. Systemize business processes such as lead management and conversion; manage projects; synchronize it with your mailbox and calendars; and get some automatic data about your business to present to banks, investors, or simply for your own knowledge. 33. Insightly: Stripped down CRM solution for small businesses. Integrates with Google Apps. 34. Skitch: This is the quickest tool I know to insert arrows and text in images. Also very useful to use to pixelate information you don’t want to share—such as sensitive data when sharing “how to” tutorials with screenshots. It integrates with Evernote and it’s for Mac only as far as I know. 35. Evernote: Use this to manage your notes in an organized fashion. Use the web clipper to save websites for later or simply stay organized by synchronizing across devices. 36. Zapier: Connects hundreds of apps you use, automates tasks, and maximizes productivity. Apps include, Evernote, Salesforce, Trello, Google Calendar, Twitter, Slack, MailChimp, Dropbox, Google Drive, Typeform, among others. 37. Google Apps for Work: It’s cool to have your corporate email run via Google’s server. Besides that, you get all the Gmail features and Google App goodness. It’s practical and makes sharing and storing things easy. 38. Intranet with Google Apps: One of the most overlooked features of Google Apps for Work is the possibility to create an intranet. Automatically update it with your Google+ page feed and use it as the place to go to for internal trainings, company updates, and other information that shouldn’t be public. 39. Google Drive: Create folder trees to store information and keep things organized. Employee resumes, bios, profile photos, projects—you name it, Google Drive is a handy cloud storage and file backup solution. 40. Screencast: Record your screen and send the video links. 41. Camtasia: Screen recorder and video editor for Windows. 42. Google+ Hangouts: If the quality of video conferencing with Skype doesn’t live up to expectations, try a regular Google+ hangout. When you send Google calendar appointments, Google automatically sends a video link with it, so it’s easy for everyone to join. 43. Google Calendar: Use personal and shared calendars to keep track of appointments on all devices. It integrates with nearly everything and loads fast. 44. Notes: Use the default note program on your laptop or smartphone to keep all your thoughts somewhere. If you are a Harry Potter fan, think of this as your pensive. There are countless useful versions for Mac, Windows, iOS, Android, and more. 45. Skype: Get a phone number from Skype and forward it to your cellphone. This way you never miss a call from a client even when you are traveling. 46. 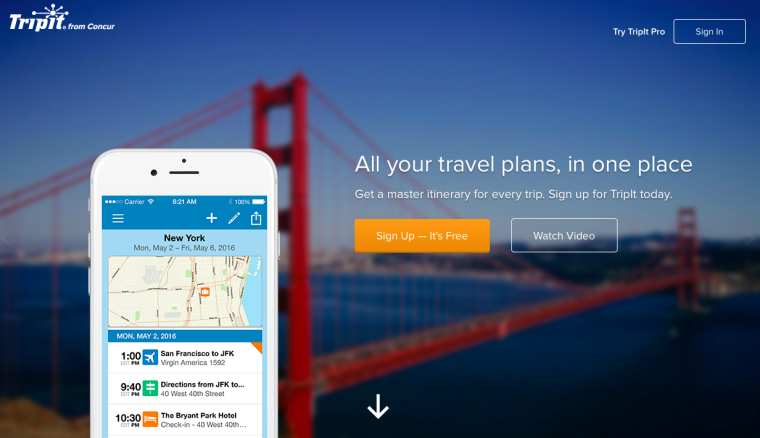 Tripit: Trip planner app with real-time flight alerts. 47. Basecamp: Project management for service businesses. 48. Desk.com: Help desk solution for small businesses that integrates well with Salesforce. 49. Sidekick: See who opens your emails and when. 50. AngelList: Post jobs to recruit someone from a startup-loving community with Silicon Valley vibes, raise money, or invest. 51. Asana: Tracks time spent per project. 52. Harvest: Tracks time and issues invoices accordingly. 53. 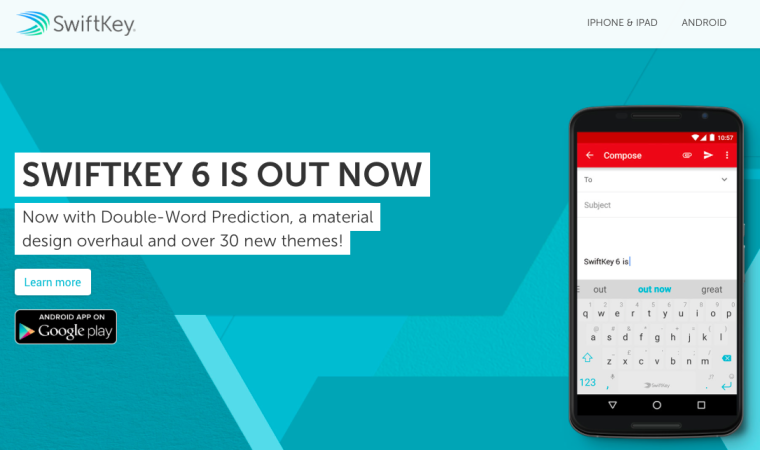 SwiftKey: Multilingual keyboard with smart prediction for mobile phones. 54. TimeDoctor: Manage the productivity of your team. Tracks people’s work time. TimeDoctor is a time management software with advanced time, activity and productivity monitoring features. The software is designed not only as a tracker for total time worked by every person on your team, it also provides a breakdown on how much time is spent on projects (clients), and specific tasks. TimeDoctor also monitors Internet use during work hours. Notifications will pop up if you spend excessive amounts of time on social media channels like Facebook, YouTube, and other personal web browsing activity. TimeDoctor is currently available as a web app, desktop app, and a mobile app. 55. dashlane: Get a grip on your password mess with this password manager. 56. InvoiceBerry: Track business expenses, send quotes and invoices. 57. Upwork: Platform for freelancers, formerly oDesk. Get your projects done by recruiting the right team. 58. Trello: Visually organize emails, spreadsheets, sticky notes, and other things by project. 59. ReferralSnip: Create your own referral program to keep track of word-of-mouth better. 60. 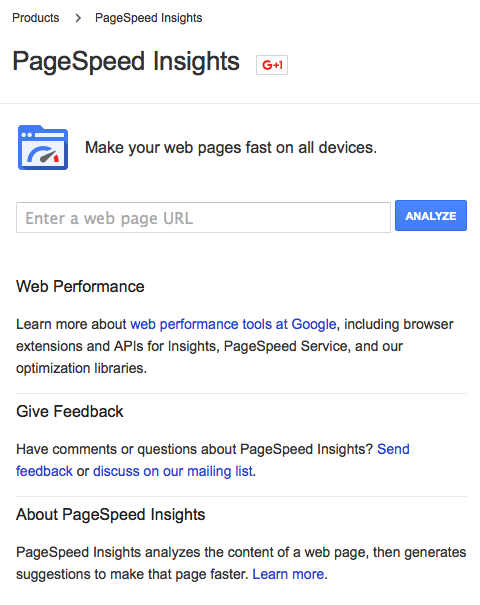 Google PageSpeed Insights: See how fast your website is on desktop and mobile. Automatically generates list of things to improve. 61. 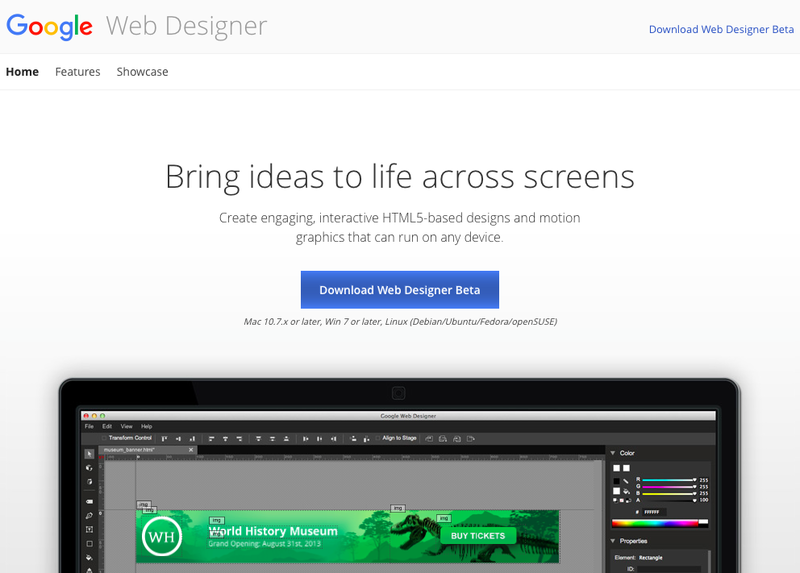 Google Web Designer: Create graphics that look good on any device. 62. Google Mobile-Friendly Test: Get a mobile friendly label below organic search results if you pass the test and an overview of what can be improved to make your website even more mobile friendly. The test consists of submitting your URL. It’s free! 63. Uberflip: Show different content on your website depending on who is looking at it. 65. Publicize for WordPress: Automatically shares blog posts on Google+ profiles and other social media accounts. 66. GoToMeeting: Set up meetings and set automatic reminders for everyone. Professional look and top quality audio. 67. Zopim: Live chat for websites. 68. Yoast SEO: Free, handy WordPress plugin to check your blog posts for the right keyword density and preview posts in organic search results. There is a lot more to it, but I find this is the most useful function. 69. Instapage: Quick landing page creation with templates. 70. Unbounce: Quick landing page creation with split test integration. 71. CrazyEgg: See exactly where your customers click on your website. This goes into detail, for instance it shows where on a photo or button people click. Helps to find out why they leave your site and where to position the most important call to action. 72. W3 Total Cache: WordPress plugin that increases server performance. In other words, this makes your website load faster. 73. timetrade: Online appointment scheduling with concierge and analytics. 74. Autosend: Automatically sends personalized emails and text messages to (potential) customers based on what they do on your website. 75. Picreel: It’s inevitable that some people will leave your website without converting. Show them customized exit offers based on what they did on your website. 76. AgoraPulse: Social media management. Useful for Facebook contests and promotions, as well as reporting. 77. Mobile Roadie: Create a mobile app for your business. 78. MailChimp: Intuitive and cost-effective email marketing. 79. Intercom: Email marketing with event-triggered emails, among other communication features. 80. Infusionsoft: CRM for small businesses. E-mail marketing, sales platform, customer relationship management, marketing automation, lead capture, and more. 81. 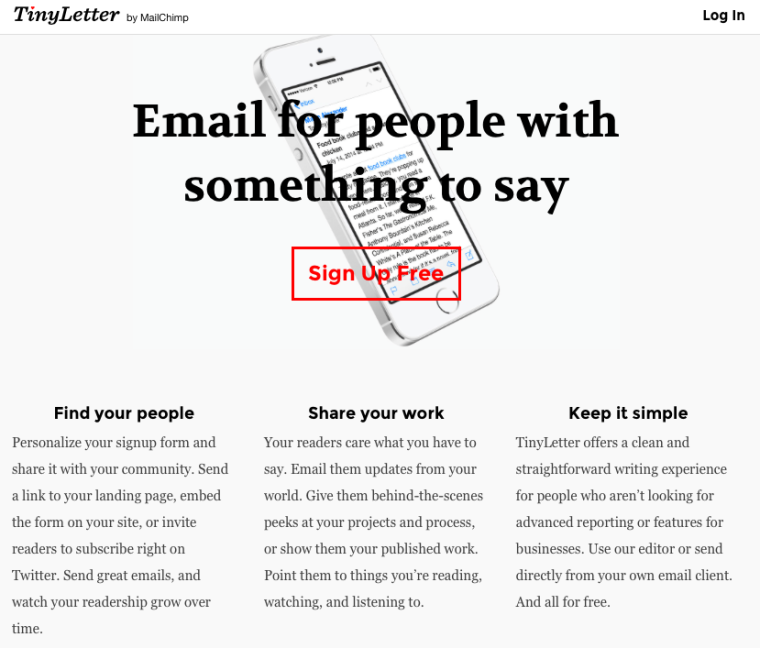 Tinyletter: If you send any newsletter to someone in Silicon Valley you better have the tiny letter logo on it. It’s the way to go. 82. Etsy: Get creative with your print collateral. Or better yet, have other people do it for you. For example, get business card-sized envelopes and put a note with your story inside. This is a unique card that people will remember and keep! 84. 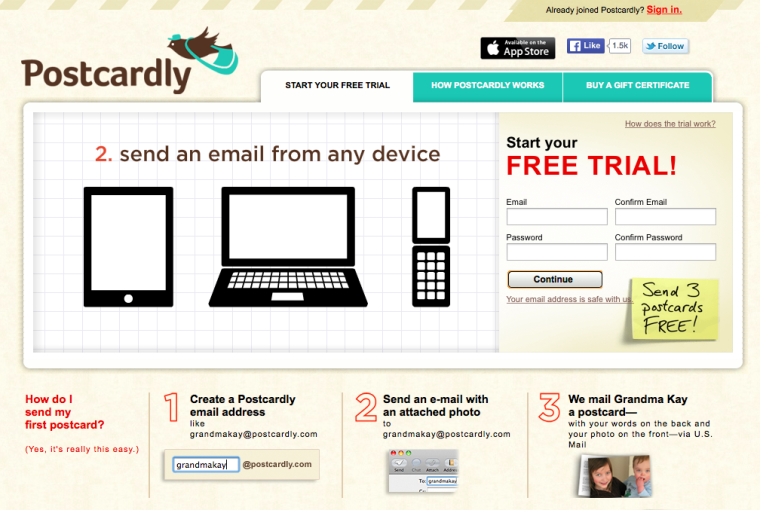 Postcardly: Upload a photo and have it sent as a postcard. Upload addresses in bulk. Great for the Holidays! 85. Google Photos: Use the automatically generated gifs to have more content variety for your social media profiles/pages. 86. YouTube Live Stream: Start a live stream in your office or during an event. 87. Google+ Hangout on Air: Have a hangout that is streamed publicly in real-time so other people can join. Not to be confused with regular Google+ hangouts that are not public! Google+ Hangouts on Air can also be broadcasted on your Google+ page. 88. GoToWebinar: Great for webinars. Intuitive and good quality. 89. 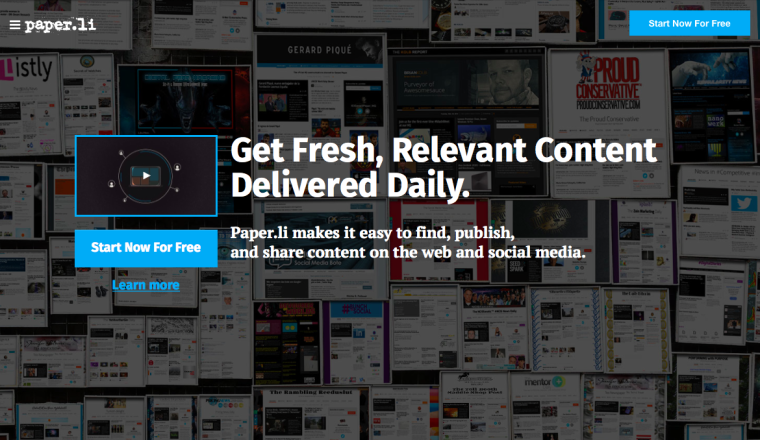 Paper.li: Website/blog based on feeds and auto-generated like a newsletter. People you feature will automatically get Twitter mentions which helps to get more traffic. 90. Powtoon: Create animated videos and business presentations. 91. Google Alerts: Get a notification when someone talks about your brand. 92. mention: Find out who is talking about you or your competitors on the web and view reports on your online performance. 93. Oktopost: Social media management for B2B marketing. 94. Udemy: Sell courses and/or learn from others. 95. Flipboard: Mobile app with customized newsfeed. Stay up-to-date on the go! 96. My Alltop: Sign up free and choose what websites you see the most popular posts of. These are typically the most informative and you are up-to-date on what’s trending in your industry. 97. Medium: Minimalistic blogging with in-depth articles. Write and/or read articles with specific topics. 98. Reddit: Find your topic of interest and get more info than you could read in a lifetime. 99. BuzzSumo: Find what’s most shared and trending. 100. Teachable: Sell your online courses. 101. Google Trends: Find out what the world is talking about on Google and where those searches are. What Helped Your Business Grow? This is a list of my favorite tools, but there are many more useful ones out there. If you have used or are using some of the tools mentioned in the list, feel free to share your experience in the comments to help others decide what’s best for them. If you have additional tools to recommend, please share them in the comments as well. All screenshots by Christina Baldassarre. Taken December 2015.